Blissful Valley is a 1BHK apartment in Shimla, which offers scenic views of the lush green valley from its balcony and windows. 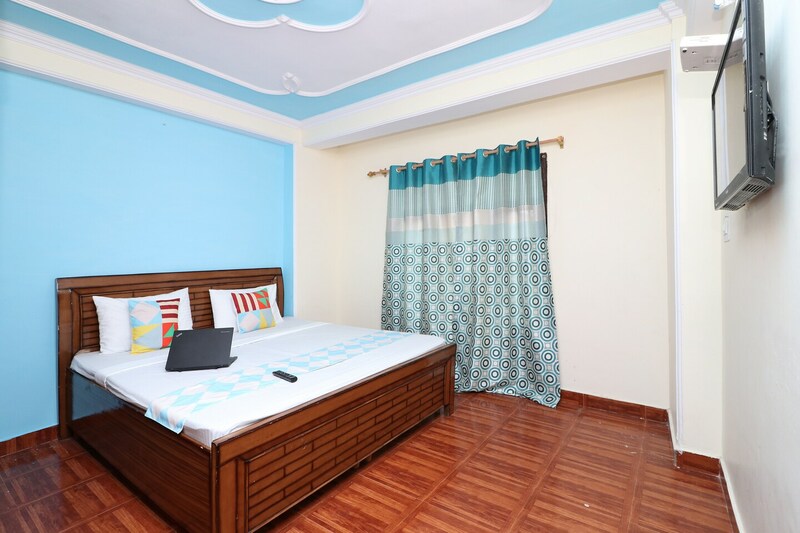 The blue walls of the rooms add to the feeling of calmness and serenity that the hill station is famous for. The rooms are spacious and equipped with modern amenities like TV, wardrobe and attached bathroom with geyser for hot water. The apartment also has a small kitchen area, which comes with an induction cooker for you to heat or cook meals.